Ever wonder how Rehoboth’s The Ice Cream Store comes up with the 100 crazy flavor combinations posted each summer day? The ice cream social, of course. Come along for a taste. EDITOR’S NOTE: For more beach news, traffic and weather, visit WTOP’s Summer Beach Guide section. REHOBOTH BEACH, Del. — There will be more than a dozen new ice cream flavors posted at a Rehoboth Beach ice cream staple that its customers helped select. 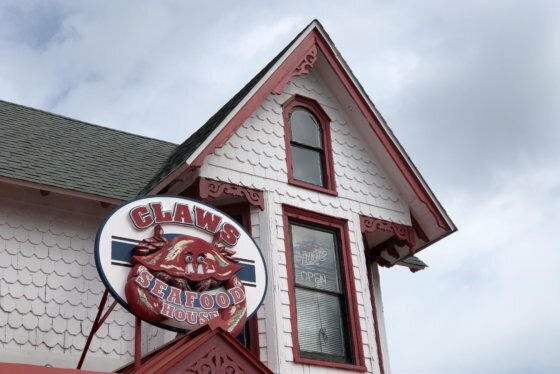 From famous dive bars to quaint and charming eateries, there’s no shortage of great restaurants in Dewey Beach, Rehoboth Beach and Lewes. Here are some recommendations from WTOP employees. The Ice Cream Store on Rehoboth Avenue and the boardwalk is known for its inventive flavors that rotate daily. And many customers may have asked themselves just how the employees come up with some of the 100 combinations posted each summer day. The answer: the ice cream social. “We just did the ice cream social. It’s an ice cream tasting they hold every spring at the Ice Cream Store,” said Alex Papajohn, an ice-cream lover who turned out for the affair. The one-day tasting is how the store decides its new flavors for the summer. They’ll be announced by the colorful magnets for which the store is known. It even provides a spinning wheel of flavors to help customers decide. “Basically, what we do is throughout the winter, we travel around a little bit, get some ideas from other places, trade flavors — you know, whatever we need to do to have crazy new flavors for every single season,” said manager Heidi Belote. There were 21 flavors up for vote including Black Raspberry Blast, Cake by the Ocean and Bacon Maple Crunch. “Right now, the Mocha ice cream is really high on the list for me. I really liked that one. I liked the lavender flavor,” Papjohn said. By Memorial Day, Belote said the final 100 rotating flavors will be set.